A longer headline would have added the words because of President Obama’s grovelling for Jewish campaign funding and votes. “Top-level Jewish fundraisers from President Obama’s 2008 campaign are sticking with the president in 2012. That’s not good news for the would-be presidents on the Republican side who are grovelling for Jewish campaign funds and votes. On the same day, in what the BBC’s Barbara Plett called “a highly unusual move”, all the regional and political groupings on the UN Security Council sharply criticised Israeli settlement activities. They said in their statements that “continued settlement building threatened the chances of a future Palestinian state.” They also expressed dismay at rising settler violence. (“They” were the envoys representing the European Union, the Non-Aligned Movement, the Arab Group and a loose coalition of emerging states known as IBSA). It was UK Ambassador Mark Lyall Grant who read the statement of the EU group. It could be said, and I do say, that such criticism of Israel’s settlement activities is 44 years too late. So what, really, is its significance? My answer is in three parts. The first is that it’s a strong indication of America’s growing isolation because of the Obama administration’s unconditional support for Zionism’s monster child. The second, related, is that it seems to confirm what I have been saying and writing for several months – that behind closed doors almost all of the governments of the world, European governments in particular, are more than fed up with Israel’s contempt for and defiance of international law. The third is that the governments of most of the member states of the UN have come to terms with the fact that Zionism’s assertion that a Palestinian state on the West Bank including East Jerusalem and the Gaza Strip could and would pose a threat to Israel’s existence is propaganda nonsense of the highest order. (This, of course, is only of academic interest because the two-state solution has long been dead if not yet buried). When I am thinking about Obama’s grovelling, my memory recalls a comment made to me by Dr. Hajo Meyer, the passionate anti-Zionist Nazi holocaust survivor and author of An Ethical Tradition Betrayed, The End of Judaism. It’s more than reasonable to assume that Obama looks in the mirror from time to time. I wonder if he can live with himself. That, too, is Zionist propaganda nonsense of the highest order. Israel is not a Jewish state. How could it be when about a quarter of its citizens are Arabs and mainly Muslims? Israel could only be a Jewish state after it had resorted to a final round of ethnic cleansing. Israel is a Zionist state. Because Arafat kept them informed through a secret channel, Israel’s leaders have long known that in the event of a two-state solution, the PLO was reluctantly reconciled to the reality of the right of return being confined to the territory of the Palestinian state, which would mean that only about 100,000 refugees would be able to return, with the rest having to accept financial compensation for the loss, theft, of their land and rights. As I explain in my book Zionism, The Real Enemy of the Jews, when they decided they had no choice but to be pragmatic, Arafat and his leadership colleagues took a degree of comfort from two hopes. One was that all Palestinian refugees everywhere could and would have a Palestinian passport. The other was that if there was a two-state solution, it could evolve over one or two generations into one state for all - i.e. because in peace and partnership enough Israeli Jews would say something like “We don’t need two states”. In the event of a one-state solution coming about by mutual consent, it was assumed on the Palestinian side at leadership level that, over time, all Palestinians who wanted to return would be able to return. So in theory the two-state solution was not necessarily the end-game on the right of return. Beware commonplace "truths", received wisdom, party-lines, slogans, etc. "The two state solution is dead" is a slogan. It is not true. Is it regarded as "true" because there is not enough water in I/P for both peoples? OK, some can move out. Green-Line Israel does not have a right to all the water of I/P. Palestinians can get other citizenships. so can Israeli Jews, who are moving to the USA and Germany (!) and elsewhere. 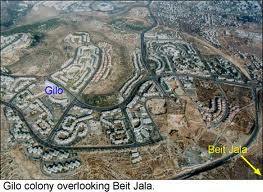 Is it regarded as "true" because of the presence of the settlements and wall? These can be demolished as UNSC 465 called for (see http://123pab.com/blog/2011/04/What-UNSC-465-and-ICJ-7-2004-actually-say.php in 1980! Because of the settlers as people needing homes? They can be repatriated to Green-Line Israel. Is it regarded as "true" because the international community will not stand up to the pressure from the USA and their own "Lobbies"? Or because they will not cut their own trade and defense-industrial ties? Well, as long as these continue, 2SS remains an idea, but is not dead, so long as the Palestinians practice "sumud". The nations that made these statement in the UNSC should, instead, submit a draft resolution in UNSC and then (after USA's veto) in UNGA, calling for removal of settlers and destruction of wall and settlements, and lifting of siege, and recommending/requiring nations to cut diplomatic ties, commercial air-traffic, and even all trade with Israe3l until those things are done. Those things CAN BE DONE. But it will require pressure. Words will accomplish exactly nothing. Israel acts, ut doesn't listen. Don't hurry! things are changing for Israel and its inconditonnal supporters faster that Obama can imagine: the "highly unusual move" of the europeen message against colonisation is a small sign of what is coming in the next months. The arab spring is bringing deep changes on how the whole meadle east will be managed. Obama will receive this support because he continues to follow the 1996 PNAC "Clean Break" plan to the letter. For those who have forgotten, I recommend looking it up and re-reading it. Monomaniacs (this includes Neocons) are SO predictable. And Obama is putty in their hands. Will isolation change anything? Will it stop the US from attacking Iran? Will It stop the CIA from drug smuggling? Will It stop rendition or regime change? Will Obama be impeached? Will Bush face trial? Will Hollywood start making movies around israeli crimes?